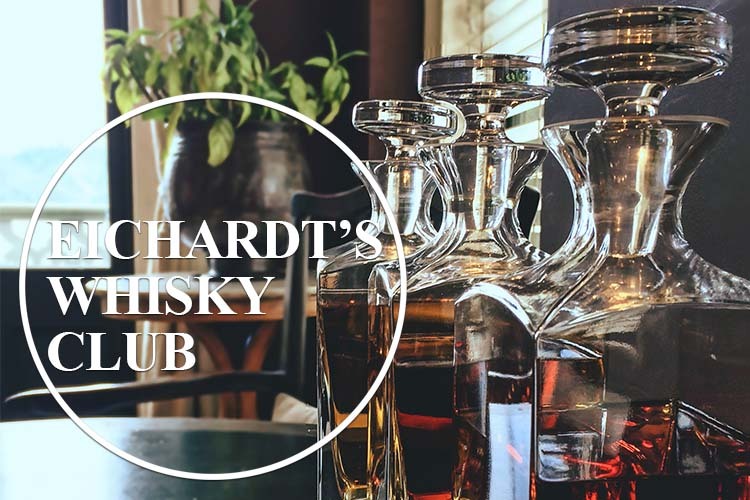 After a hugely popular event in July hosted by the talented team at Cardrona Distillery, we are now taking reservations for the August edition of Eichardt’s Whisky Club. We are very excited to release details for this Cask Strength Special – hosted by Scottish Sommelier, Neil Taylor. Cask strength (also known as barrel proof) is a term used in whisky-making to describe the level of alcohol-by-volume strength that is used for a whisky during its storage in a cask for maturation – typically in the range of 60–65%. The degree of dilution is said to bring out different flavours of the whisky, which can affect the decisions of the producers regarding the concentration they select for the bottling of their various brands. Held in the luxurious and exclusive surroundings of Eichardt’s Private Hotel Parlour, this tasting includes light food to accompany the tastings. Seats for this tasting will be limited and the atmosphere kept cosy and intimate in Eichardt’s Private Hotel Parlour. Seats are priced at $50.00 per person. Simply call or email to reserve you seats.